The biggest indoor music festival in the Nordic-Baltic region Tallinn Music Week will present seven Estonian artists at Positivus festival, taking place in Salacgriva, Latvia from 17th to 19th July. All the seven acts will perform at Tallinn Music Week and Palladium music club joint stage. Altogether, 13 Estonian acts have been announced to play at Positivus this year. As always, Tallinn Music Week’s programme concentrates on fresh-sounding up-and-coming artists. 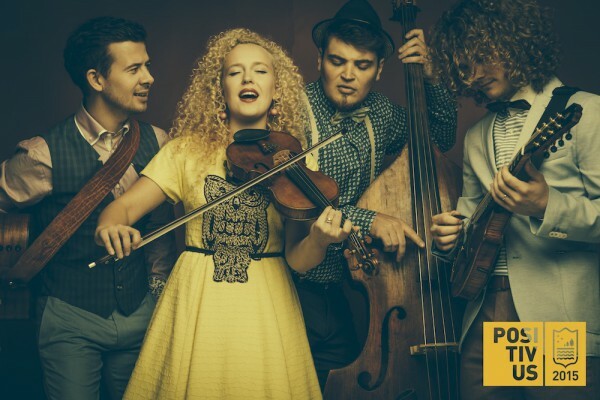 Saturday, 18th July will kick off with Estonian-Swedish electronic/jazz group Miamee, followed by one of the most successful newcomers in Estonian music scene, folky Curly Strings. The last Estonian act to take the TMW/ Palladium stage on Saturday will be the leading Russian language hiphop crew Gorq Lana. Sunday, 19th July cirkl with her weirdly balanced mixture of R’n’B, indie-pop and jazz, will start the day. Second on are acclaimed indie-rockers from Tallinn Daggers, continued with adventurous art-pop trio Badass Yuki. Last but not least, Lexsoul Dancemachine will spread their merciless and soulful grooves. In addition to the acts described above, I Love You stage will host the Estonian acts Galvanic Elephants, Würffel, Zebra Island, Sibyl Vane ja The Werg. Gracing the line-up are also Ewert and The Two Dragons, currently touring with their latest release “Circles”. Together with online store 311.ee Tallinn Music Week will be hosting an Estonian music tent, open on all three festival days on Positivus’ main shopping street. The 9th Positivus Festival, will take place from July 17 till July 19 in Salacgrīva, Zvejnieku Park, Latvia. The artists’ line-up this year will include Robert Plant and the Sensational Space Shifters, Placebo, Kasabian, Warpaint, St.Vincent, Basement Jaxx, Tom Odell, Jungle, Charli XCX, Lamb, Vök, Jennie Abrahamson, Rangleklods, East India Youth, Indiana, Vök, Jennie Abrahamson, Rangleklods, Super Besse, Alise Joste and many others. Tallinn Music Week and Positivus festival have been collaborating for years to bring the best new music from the region to international audiences. Festival tickets can be bought from www.positivusfestival.com. A three-day ticket without a tent space costs 65€; a three-day ticket with a tent space costs 71€. One-day tickets are also available at 35€.